Last updated on 11/1/2016 2:30 p.m. If you have additional RFIs or any questions, please email Russ or Darrin: construction@thelivestockinstitute.org. If you want to hand deliver your bid: Wednesday 11/2/2016 starting at 11:45 a.m., someone from TLI will to accept bids at the Dartmouth Grange, 1133 Fisher Rd, North Dartmouth, MA 02747. TLI will open bids and read bidder and bid amount aloud starting at 1:00 p.m., at the Dartmouth Grange. The document is also shown in a window, below. We are excited that the project is moving forward. Here are the designs and documents that TLI expects to use for the site development, and the construction of its facility and barn. Note, the Town of Westport has issued a Special Permit (STOD), and Order of Conditions that must be included are part of all building bids. TLI is pleased to announce that it has released its Construction Bid Package to all instruction General Contractors. prefabricated barn on a site located on State Road in Westport, MA. Your BID will take this cleared, but otherwise unimproved raw land through stumping, site work, a roadway, drainage, concrete slab, erection of a steel frame, insulated metal panels. 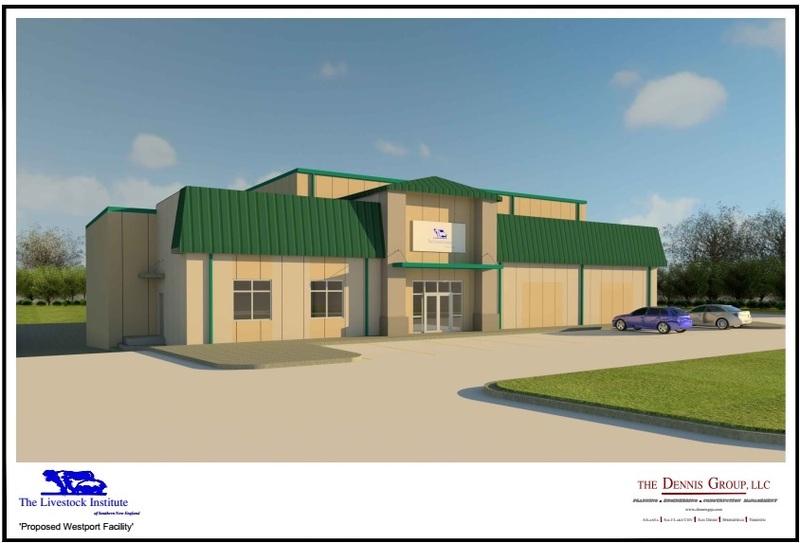 Interior work will include HVAC, offices, and custom finish work to ensure the processing areas in the building allow for the movement of large animal carcasses, and easily sanitized after slaughter. You’ll bring utilities (electric, gas, water) to the Project from the street. Finally, you will oversee the creation of a wetlands replication area. The Bid Package’s Contract Documents, Plans, and Designs may be: downloaded and printed through TLI’s website, http://www.thelivestockinstitute.org/construction.html, Purchased from TLI for a payment of $800 (Unless prior arrangements are made, NO REFUINDS will be given for printed plans purchased through TLI if the plans are not returned in usable condition), or Viewed in TLI’s offices at a mutually agreeable time. Bids are due Wednesday November 2, 2016 at 12:00 pm Eastern Daylight Time.